How can I set the Business Source wise commission in eZee Burrp? How to track the record for the rate of the complimentary item when the complimentary item is an open item.? Not able to Print KOT and receipt even the test prints works fine. Any USB port printer can be used which is installed on Windows. Please take a not that USB port printer is not compatible for Line printerAny USB port printer can be used which is installed on Windows. Please take a not that USB port printer is not compatible for Line printer template. What is the use of Label in eZee Burrp? How to send notification for the membership card validitywhich is about to expire. How to send notification for the membership card validitywhich is about to expire. . Please refer below GIFHow to send notification for the membership card validitywhich is about to expire. . Please refer below GIF Steps. How to see change due pop up on the settlement in eZee Burrp 6.0? How to enable separate KOT in eZee Burrp? Are we obliged to enter the guest name before order in our case it’s hotel and the information are already on pms, So can we set guest information as compulsory ? 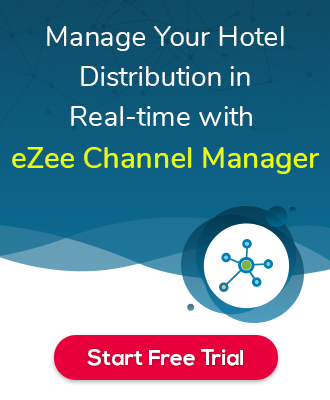 Path : Go to eZee POS backoffice >> Configuration >> Outlet operation >> Select your outlet >> Edit >> Order type >>Path : Go to eZee POS backoffice >> Configuration >> Outlet operation >> Select your outlet >> Edit >> Order type >> Checkmark on this option “guest name is complsory”. How to change fonts in Receipts from Bold to Regular for the Windows template? Path: eZee Burrp Back Office >> Tools >> Windows Template. Screenshot 1: Screenshot 2: Set the font style and size accordingly.Path: eZee Burrp Back Office >> Tools >> Windows Template. Screenshot 1: Screenshot 2: Set the font style and size accordingly. How can i merge quantiity of the items which are in different kot on one table but want to display in receipt with total? How to set privileges of table for user? Path: eZee Burrp Backoffice >> Configuration >> User Operation >> Select User >> Edit >> Table >> Checkmark or Uncheck markPath: eZee Burrp Backoffice >> Configuration >> User Operation >> Select User >> Edit >> Table >> Checkmark or Uncheck mark the table that you want give/remove access from table. How to add menu items images in eZee Burrp 6.0? Please follow the below steps for adding images for Menu items in eZee Burrp: eZee POS Back Office>>Tools>>Item Image. On the window of "Please follow the below steps for adding images for Menu items in eZee Burrp: eZee POS Back Office>>Tools>>Item Image. On the window of ” Item Images “ please add the item images as per your requirement. You may refer below screenshot for the same. How to Include buffet recipes in eZee POS Back office ? Please refer below Screen Shot for Menu Buffet Configuration, STEP: 1 STEP:2 There are Three tabs provided, Package, Item Menu & CateringPlease refer below Screen Shot for Menu Buffet Configuration, STEP: 1 STEP:2 There are Three tabs provided, Package, Item Menu & Catering Items.You can add all required package from here and save it all. Can we print a guest check from the fiscal printer? The Guest check can be printed as non fiscal. Also if the non fiscal is not avaible is the devise user can print the guest check on an normalThe Guest check can be printed as non fiscal. Also if the non fiscal is not avaible is the devise user can print the guest check on an normal printer.